A U.S. citizen of Vietnamese descent who had gone missing in Vietnam in early July has been under detention in the communist country for almost a month, according to his family and a member of Congress. 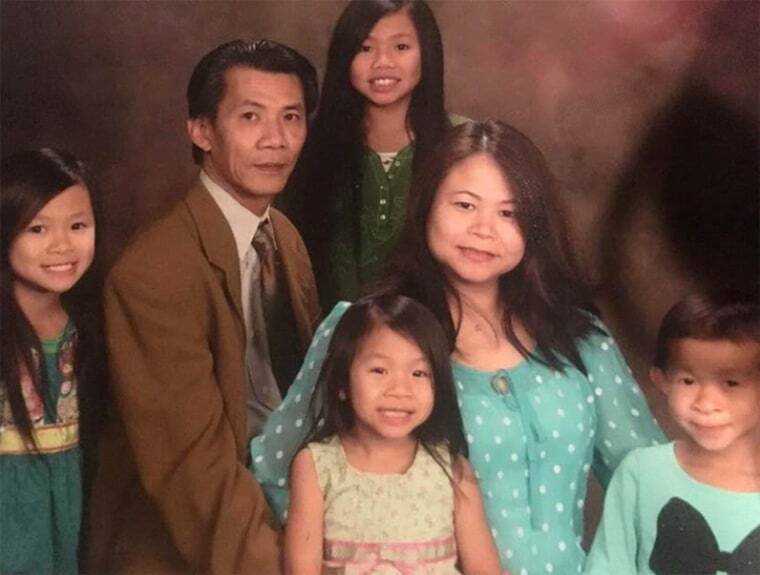 Michael Phuong Minh Nguyen, a 54-year-old father of four who lives in Orange County, California, was detained on July 7 on his way back to Ho Chi Minh City from Da Nang, Vietnam, according to a statement from the family. He is under investigation for “activity against the people’s government,” they said. “For sure, the family is looking forward to his full release and safe return to his family, his four girls and wife in California,” Mark Roberts, Nguyen’s brother-in-law, told NBC News by phone. Nguyen left California in late June to visit friends and family in Vietnam, where he was born, Roberts said. He added that Nguyen, who owns a small print shop, did not appear to be involved in any political activity. After Nguyen was not on a plane back to the U.S, his wife, Helen, pursued multiple avenues to locate him, but was unsuccessful, the statement said. She finally received confirmation of his detention from U.S. officials more than three weeks after he was first taken into custody, according to the statement. Nguyen met with U.S. consular officials for about an hour on July 31 and appeared to be in good health, according to his family. A statement from the office of Rep. Mimi Walters, a Republican who represents a portion of Orange County, said the State Department received consular access on July 31. A State Department official said in an email that they were aware of reports of a U.S. citizen being detained, but did not confirm it was Nguyen. The Vietnamese Embassy in the U.S. did not immediately return an emailed request for comment. This is the second time that a U.S. citizen has been detained in Vietnam in the last couple of months. Nguyen, who touched base with his family every few days while on his trip, last made contact with them around July 5, the family statement read. He was supposed to return to the U.S. on July 16. His wife contacted the airline, which confirmed that Nguyen’s name was not on the passenger manifest, the family said. A day or two later, she found unconfirmed information on Facebook about Nguyen’s situation and whereabouts, according to the family statement. For almost two weeks, the family said, Nguyen’s wife tried to get details about her husband’s disappearance, reaching out to local police offices and the U.S. consulate in Ho Chi Minh City. But the Vietnamese police there were uncooperative and the U.S. consulate referred to a privacy act between the two countries that prevents personal information about U.S. citizens from being shared without written consent from the citizen, according to the family statement. Following a meeting in late July with staff from Walters’ office, Nguyen’s family learned from U.S. consular officials in Vietnam that Nguyen was being held in a detention facility in Ho Chi Minh City, the family statement said. Walters was unavailable for comment Friday. Nguyen’s detention comes on the heels of a case in which another U.S. citizen of Vietnamese descent was taken into custody in June for participating in a protest there against the Vietnamese government’s plans to establish special economic zones that demonstrators believed would benefit China. Will Nguyen (no relation to Michael Nguyen), 32, was convicted by a Vietnamese court late last month and ordered deported from the country. Roberts, Nguyen’s brother-in-law, said Nguyen’s absence has been devastating for the family. Nguyen, who has a more flexible work schedule than his wife, a full-time surgery room nurse, takes the lead in caring for their four kids, cooking them breakfast and bringing them to school, Roberts said. “To be gone for a month-and-a-half now, and for the prospect of it to be months or years, is frightening for the children, frightening for the family,” he said.